Since 2003, ABL doors have been been supplying and fitting precision-hung doorsets for housing developers, builders and regional authorities on a local and national scale, providing great value while taking the hassle out of the door fitting process, in both new-build and renovation projects. This idea, which was revolutionary in the UK market, meant that ABL doors could stock, hang, deliver & fit doors and doorsets on demand. This greatly reduced the hassle and risk to the developer, builder or local authority, as well as saving them huge amounts of money on labour costs, as an ABL fitter can arrive on site with all required materials and install each precision-hung doorset in under 12 minutes. ABL’s hand-picked supply chain gives us access to over 4,000 different styles of the highest quality internal, fire, acoustic and external door. Our manufacturing, delivery and fitting chains allow us to manufacture product to the highest standard, accurate to 1/100th of a millimetre, and provide the level of service expected by national housing developers and local authorities. ABL are trusted suppliers and installers of doors and doorsets to some of the biggest names in the industry, and work hard to build healthy, long-standing relationships with our clients, that deliver great value, service and reduce all of the hassle and risk involved with the supply and fitment of doors. Developers we have longstanding relationships with include Weston Homes, Taylor Wimpey, Belway Homes, Kier and Barratt Homes to name but a few. If you are interested in finding out more information about how ABL doors and windows can help with your developments, read our service page to discover exactly how we deliver our unrivalled level of service, or get in touch today and speak to one of our client managers. 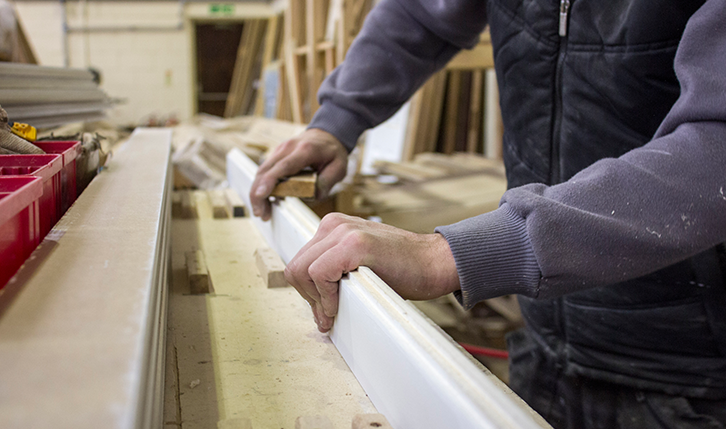 With over 15 years experience supplying doorsets to developers such as Western Homes, we have become the UK’s leading supplier and fitter of doorsets.